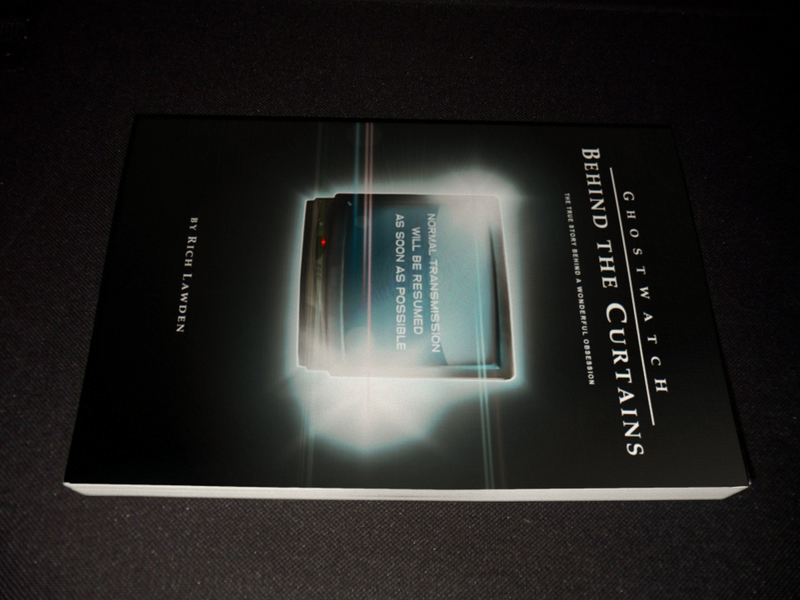 Ghostwatch: Behind the Curtains: We'll be here with updates right through the... year? We'll be here with updates right through the... year? Update time! And just as we were getting used to seeing "2013" on our calendars, another year has already, all but passed us by. From the release of the doc all the way back in March, though to... well, today, we've been fortunate enough to have some great reviews, wonderful comments and precisely zero hauntings, so thumbs-up, all round. There's recently been quite a bit of talk regarding the doc being made available to purchase and view online, sometime soonish. One particular avenue that our film is currently set to be making an appearance in (from early December) is at BFI Mediatheques nationwide, as part of the new Haunted collection, and the wider Gothic season, possibly alongside Ghostwatch itself and plenty of other goodies. 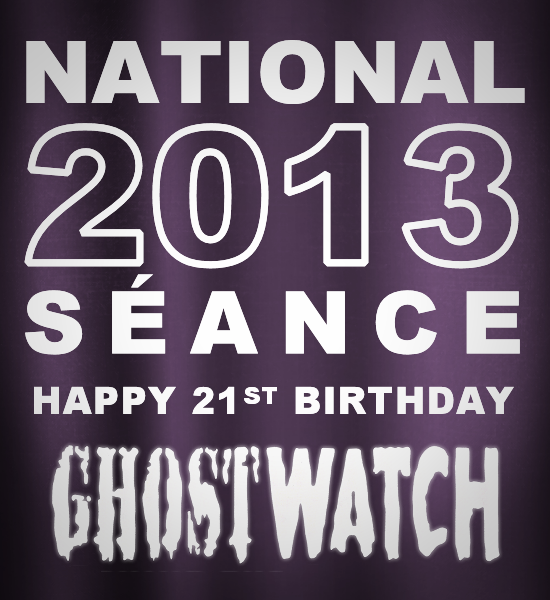 Yes, you read that right, Ghostwatch: Behind the Curtains is about to be added to the National Archives for posterity. Yowzers. Hopefully, some DVD copies may also be available to purchase in the BFI shop very soon indeed. Stay tuned for updates! You might have noticed the previously-alluded-to PipesCasts have not yet materialised. In fact, they have flat-out been put on hold. You see, despite a few 'shows' already being in the can, for the past several months, their content has been taking on a slightly different form. Now, this isn't for 100% certain - it's not a cast iron promise at this stage - but for a good long while now (in fact, longer than work lasted on the doc, itself), a brand-new companion book has been brewing (well, simmering, at any rate) that chronicles the making of our film, and also features some brand-new interviews and rarely-seen Ghostwatch-related material. The first draft is now done and with any luck, it shall be ready (at least!) in time for Hallowe'en 2014... or more realistically, sometime within the next few months, or so. So, yeah. Aside from this generally earth-shattering news, not much else to report, really. The hash-tag #BEHINDTHECURTAIN was Twitter Trending (or whatever the kids call it) back in August, but it turned out to be for Lady Gaga, I think. I had a really nice lunch at some point. Two, actually. We're all doing well at GW-HQ. Everything's under control, situation normal. Had a slight wireless malfunction, but everything's perfectly alright, now. We're fine, we're all fine, here, now. Thank you. How are you? Actually, don't say anything until NS13, or we won't have anything to talk about. 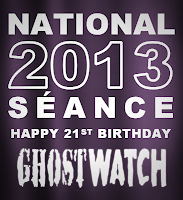 See you then, Ghostwatchers, and thanks as always for the support!